AKÏN’s resident Wordsmith, Michelle, headed to Los Angeles, California in March 2016 for the reunion show of one of her favourite bands, Further Seems Forever. She also got to try out brands available only in the States while she was there – and now that she’s back in Singapore, the only way she can keep up with these brands is via social media. Michelle delves a little deeper into the 'social side' of these American businesses - to some interesting findings. My recent trip to Los Angeles marked my first visit back to the Sunshine State – and to the States in general – in 16 years! It was definitely refreshing to come back and explore the city for myself as an adult. Through my daily jaunts around Koreatown, Downtown LA, 3rd/Fairfax, Abbot Kinney/Venice Beach, Hollywood and Sunset Boulevard, I got to revisit places from memories past, and finally step foot into places I’d only read about online (like The Last Bookstore – magnificent indeed) and spotted on the TLC channel (hey ho Seoul Sausage Co.!). Coming home meant that I’d no longer have easy access to some of my new-favourite places and eats, but thank goodness for social media. So, upon my return to the office, I took to the Interwebz to discover the ‘social face’ of some of these brands, and uncovered some surprising findings! I had never booked an Uber prior to my trip – yes, I know. But if there was any city I had to start using a ride-sharing service in, it would most definitely have to be Los Angeles. 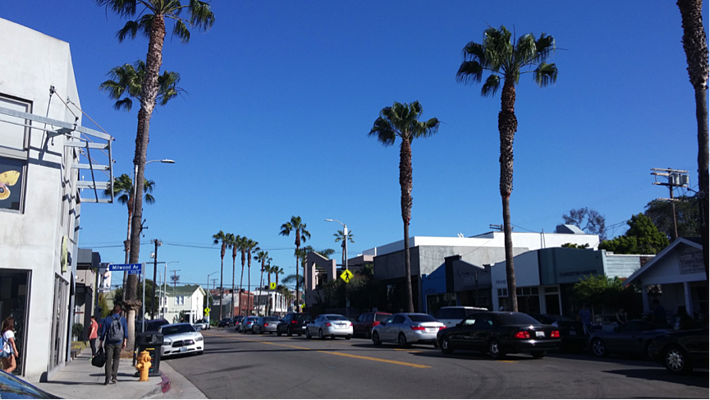 After a good first ride from Fairfax to Abbot Kinney one Thursday, I was prepared to Uber my way through the rest of my trip – that is, until my second driver, Alex, kindly offered me a Lyft promotional code for US$5 off 10 rides! Cue an immediate brand loyalty switc- ahem, I mean… since Lyft is only available in the US, I figured it was worth trying while I was there– and the promo code certainly helped! Lyft has a humble Facebook following of just over 340,000 owing to their internal reach within the US, compared to Uber’s global reach of over 4 million Facebook followers. 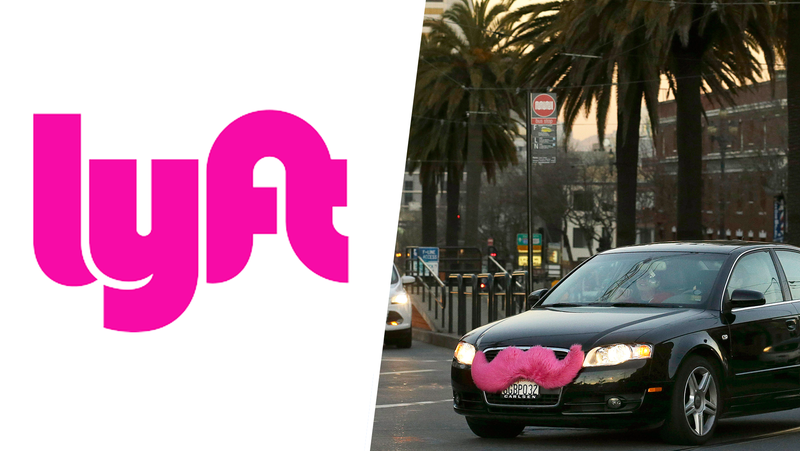 While Uber’s (iffy) rebrand earlier this year revealed a sleeker, more modern look and feel, the pink-and-proud Lyft logo continues to project a ‘funky, friendlier’ image to riders and drivers alike – just a pity that their fun ‘fist bump to start the Lyft’ requirement was done away with in 2014. Despite a slight return to normalcy, Lyft’s fun side still seems to be fulfilled via their social side, through quirky, colourful graphics (like those by New York based artist Jeremyville) and fun gif posts on their Twitter account. Compared to minimalist chic, some vibrant, creative chaos is exactly the kind of ‘Lyft’ I need to put a smile on my face on a dull day! In other words: Lyft is the one you want at any social event - colourful, quirky and pretty much the life of the party! So, my colleague Rachel is a big Chipotle fan, and she reminded me to try it if I happened to see one in LA, tempting me further one night by saying how ‘their rice bowl is sooooo good’ (thanks, Rach – I was hungry all night after that!). It was hard to shake off any reminders of the Mexican grill while on the go anyway, considering how their latest advertising campaign was plastered in almost every Metrolink station I visited. 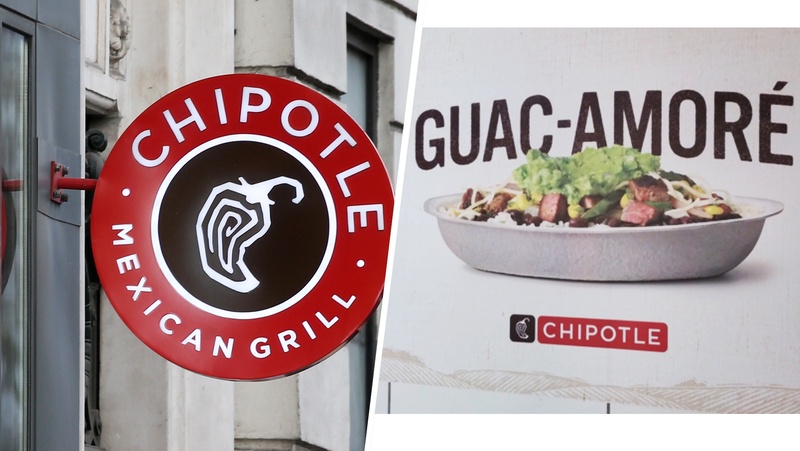 Maybe it’s the offensive stance they’ve been taking since the series of unfortunate food poisoning incidents across multiple states last year, but Chipotle shows no sign of backing down, attempting to win back customer love and loyalty with new drinks, a new burger venture – and of course, free burritos. Despite the unfavourable press (with shadows of doubt lingering even till today), they regularly engage close to 3 million fans on Facebook, 757,000 fans on Twitter and 306,000 fans on Instagram with a cavalier tone of voice, coupled with often colourful, occasionally cute and mostly cheeky posts – which even involved selected social media fans. While I do salute them for holding their heads up high in the midst of misfortune, I also wonder if their (over?) confident posts would make them less delectable to their fans. On a positive note, I did enjoy their rice bowl when I finally lunched at one all the way out in Rancho Cucamonga – more guacamole por favor! In other words: Chipotle is the witty, confident friend ready with a snarky comeback for anything - but behind that air of confidence is someone who just wants to be accepted. 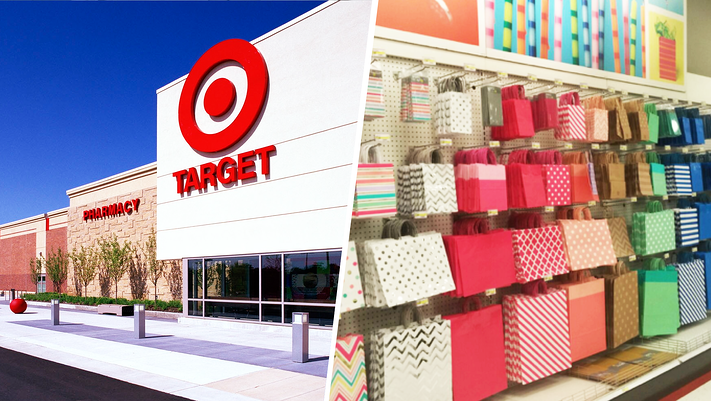 Ah, Target – a store for just about everything. We could definitely use one here in Singapore (though maybe Mustafa Centre might be the closest we have). It was fun browsing through the store, though it took me a lot of willpower to not buy out the entire party supplies section! Amidst the vibrant images, delightful animations and witty one-liners (Avoca-don’t, anyone?) I must say that I don’t quite envy the retail giant’s position – it’s not easy to keep 23 million fans happy, particularly when each post after happy post is laden with never-ending queries and complaints. Kudos to their customer service team for their prompt, polite responses, although the Interwebz will always remember this previous ‘Target Customer Service’ representative for telling it as it is. 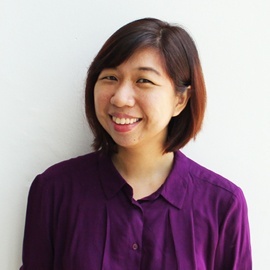 In other words: Target is the sweet, girl-next-door who'll do her best to keep the peace and make everyone happy, maintaining her polite demeanour no matter what comes her way. No visit to the West Coast is ever considered complete without a trip to this cult classic fast food joint. 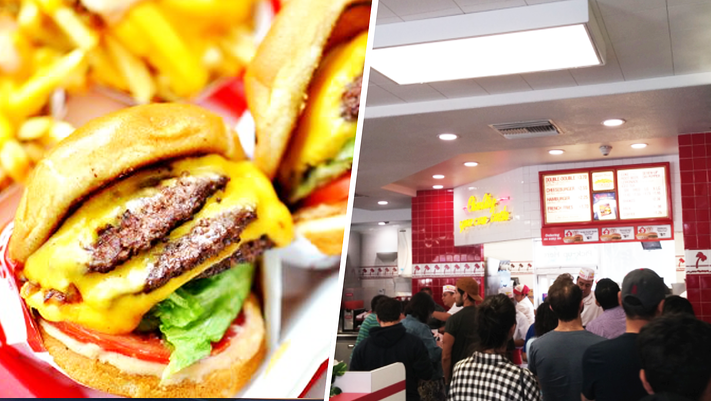 When I made a mid-afternoon stopover to an In-N-Out Burger outlet in Sunset Boulevard one Friday, I was surprised that the ordering queue had extended outside the restaurant – and this was 4.30 in the afternoon! But little did I know of the bigger surprise that awaited me on the Internet: for a popular fast food joint throughout the US (despite not even having a presence in the East Coast), In-N-Out is oddly inactive on its social media pages, maybe save for their Instagram account. Their last Twitter updates date back to 2011 (of which there are only 3), and the only updates made to their Facebook page were to change their cover photos every now and then. On Instagram, their posts are generic, and the themes seem to run in an annual cycle: Child Abuse Prevention Month, new designs for their t-shirt, seasonal greetings, coupled with the occasional mentions about their food. Even an In-N-Out Burger fan page seems to have more regular updates than they do. Maybe they’re too good for social media, or maybe they’re just trying to maintain an air of mystery. Regardless of the reasons and speculation (at least on my part), they are still – and always have been – very much on the top of the fast food chain over West. In other words: In-N-Out Burger is the mysterious, popular kid - everyone adores him, but no one knows what he's thinking. Interesting findings aside, till the next time I'm back in the States... my relationship with these brands will (sadly) only extend across the vast online ocean that is the World Wide Web. I'm particularly looking forward to my next taste of that awesome In-N-Out cheeseburger - and maybe this time, I'll finally have the fries to go along with it! Do you also have a ‘long-distance’ relationship with some of your favourite overseas brands? Tell us how you keep up with them - and what they're really like online - in the comments below!